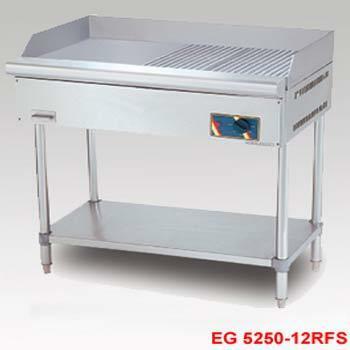 We are engaged in offering the finest Stainless Steel Electrical Griddle. Under this range, we provide Half Ribbed Electrical Griddle and Stainless Steel Electrical Griddle (Half Ribbed). Manufactured by making use of superior quality stainless steel and other materials, these products conform to the established quality parameters of the industry. These products are widely demanded in national and international market for its high performance and high durability. These products a quality-assured before to ensure flawless finished products to our esteemed clients. Looking for “Stainless Steel Electrical Griddle”?